A Uighur Muslim woman has said she was tortured and abused at an internment camp where the Chinese government is detaining hundreds of thousands of people from religious minorities. Mihrigul Tursun, 29, told reporters in Washington she was interrogated for four days in a row without sleep, had her hair shaved, was electrocuted and was subjected to an intrusive medical examination following her second arrest in China in 2017. After she was arrested a third time, the treatment grew worse. “I thought that I would rather die than go through this torture and begged them to kill me,” she told journalists at a meeting at the National Press Club. The claims come amid growing global concern over Chinese treatment of the ethnic minority group, the majority of which are Muslim. 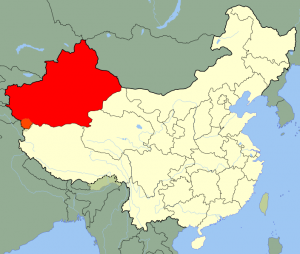 China is thought to have incarcerated as many as two million Uighurs in “reeducation camps” to promote what the government calls “ethnic unity” in the country’s far west.